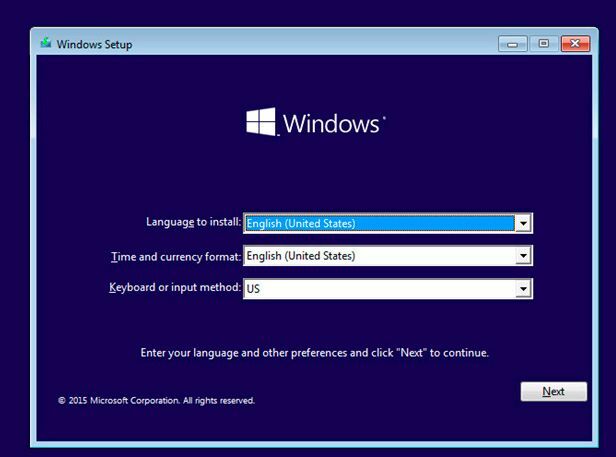 This installation guide will explain each phase step by step and guide you through Windows 10 operating system installation on a virtual machine (VM) running in the VMware ESXi environment. 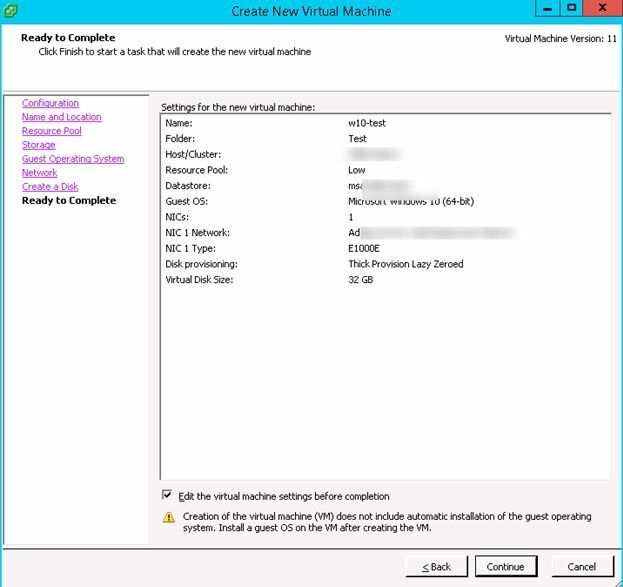 In our example, we will create a virtual machine on the ESXi 6.0 host. We need the installation image of Windows 10 in ISO file format. You can download it from Microsoft website or create using Media Creation Tool. In our example we use Windows 10 x64 Professional Eng image. Upload it to the VMFS datastore or network NFS folder, which is accessible from your ESXi host. Login to your VMware management console via vSphere Client. 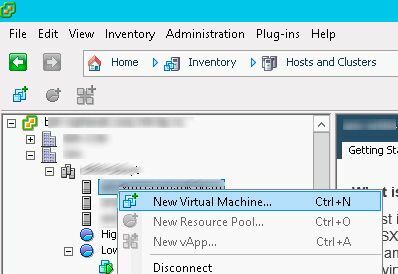 You need to create new virtual machine. 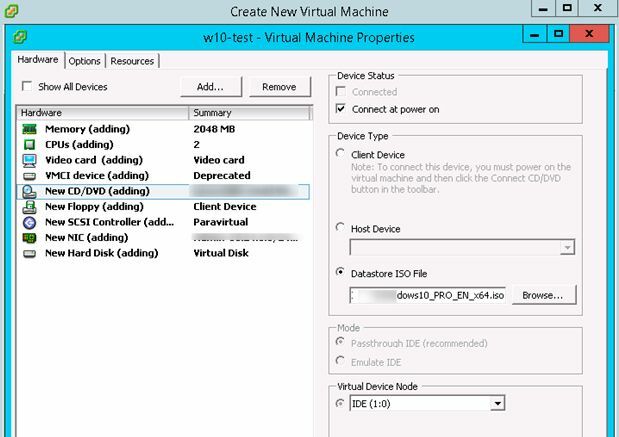 Select desired ESXi host, right click on it and select New Virtual Machine. Select Typical as a type of VM. Enter virtual machine name (w10-test) and select folder (Inventory Location). 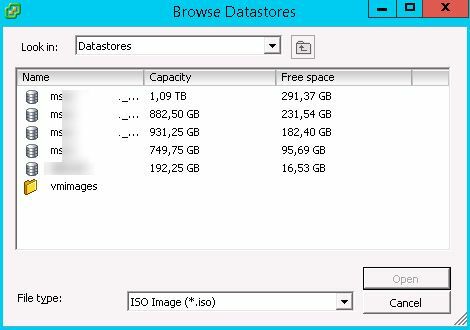 Select VMFS datastore, which will store the files for your virtual machine. 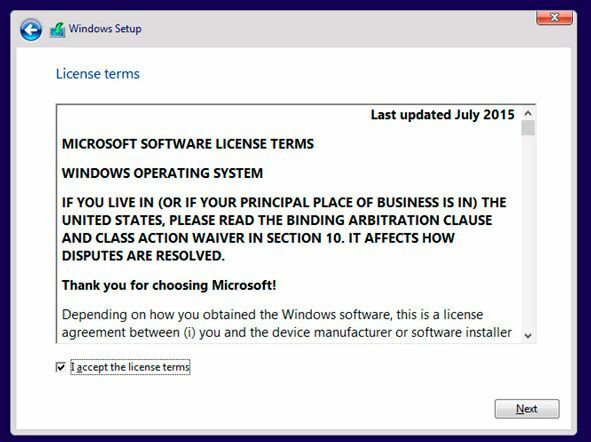 As the version of the guest operating system, select Microsoft Windows 10 (64-bit). Tip. Even Windows 10 is missing in the list of supported operating systems (in older ESXi versions), you can try to install it by selecting guest operating system as Microsoft Windows 8 (64bit), which has the similar Windows kernel. Specify the virtual disk size (*.vmdk). 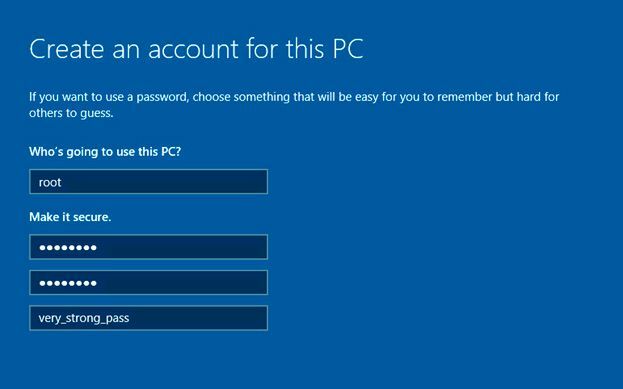 Windows 10 x86 requires at least 16 Gb disk size, and Windows 10 64-bit – 20 GB. On the result screen check option Edit the virtual machine settings before completion. In the VM properties specify at least 1 Gb RAM for 32-bit Windows 10, and 2 Gb for 64-bit and add one additional virtual CPU unit. Go to virtual CD/DVD device settings. 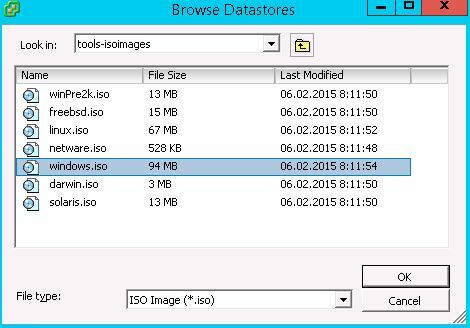 Select Datastore ISO File and browse it to Windows 10 x64 ISO image you uploaded earlier. Check on Connect at power on. Press Finish to start VM creation. Once the VM appeared in the vSphere console, start it. This will start the Windows 10 installation. Select your language preferences and click on Next. In the next window press Install now. 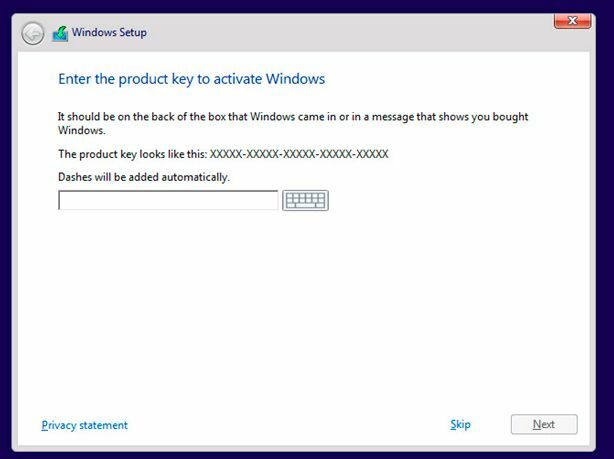 Enter your Windows 10 product key or skip this step. 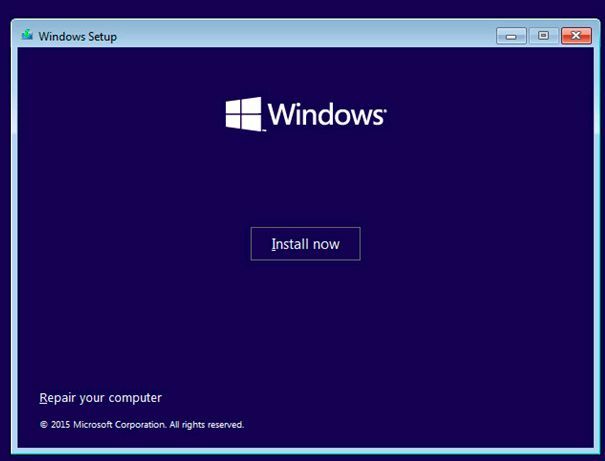 Select Custom Windows 10 installation (advanced). Tip. 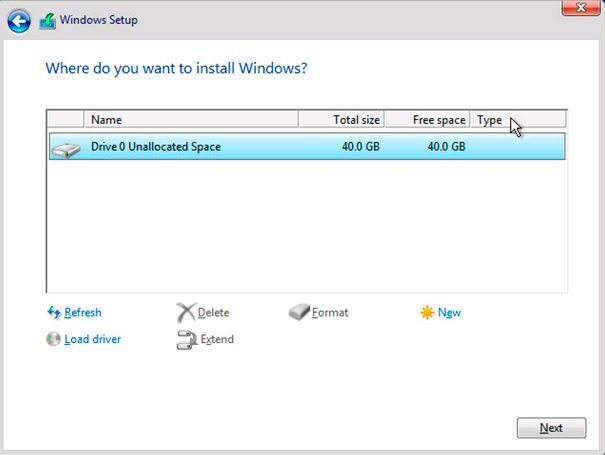 In our case since we are using VMware Paravirtual adapter as default SCSI controller, Windows 10 installation wizard does not identify a hard drive and showing message We couldn’t find any drives. To get a storage driver, click Load driver. 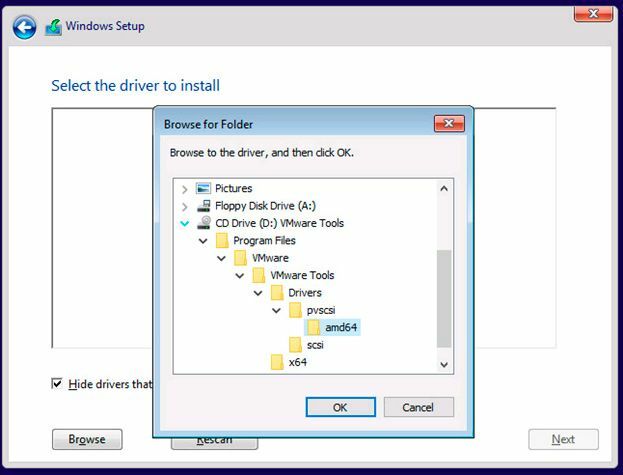 To make Windows installer to identify the hard drive you need to install the pvscsi driver (in our case). 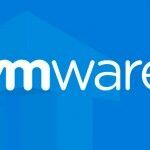 To do this select Guest > Install/Update VMware Tools in vSphere console. Using Datastore Browser go to the top level. Follow to the folder vmimages -> tools-isoimages and select windows.iso image. Press OK to mount disk image. D:\Program Files\VMWare Tools\Driver\pvscsi\amd64\ (for x64 Windows 10 version). 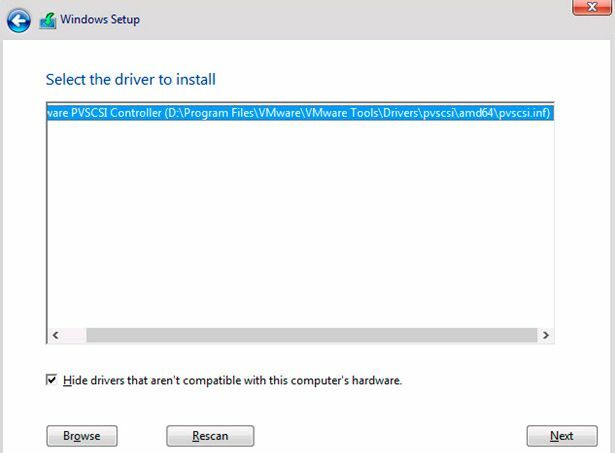 In the driver list select VMWare PVSCSI Controller (D:\Program Files\VMWare Tools\Driver\pvscsi\amd64\pvscsi.inf) and press Next. After pcscsi driver has been loaded, Windows 10 setup program now identify virtual hard drive (for LSI Logic parallel controller you need to perform the same procedure). 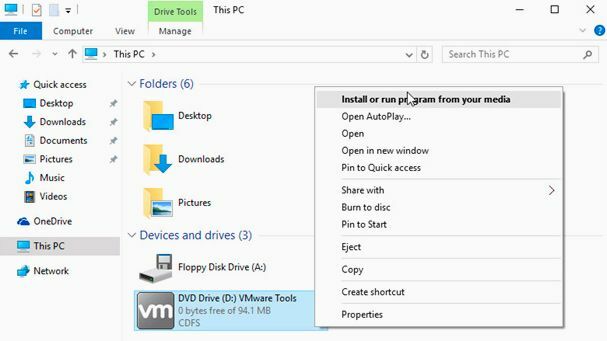 In the settings of a virtual CD drive, return the Windows 10 ISO image. 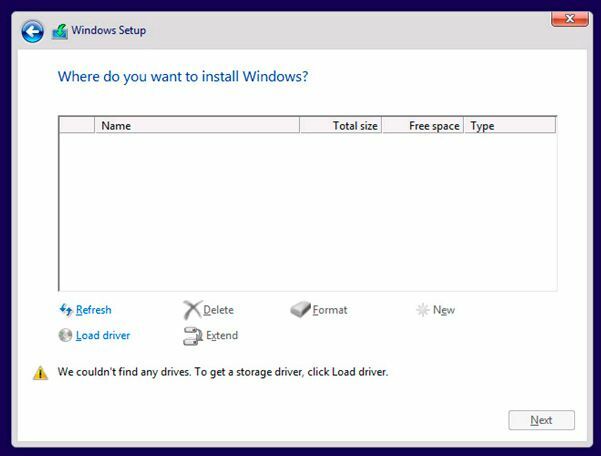 Press Next to allow Windows 10 setup program automatically create all needed partitions on unallocated disk space of your virtual hard drive or you can make drive repartition manually. Wait for the system to copy installation files and extract them. After installation is complete, the VM restarts once. Now you need to specify the Product Key (you can skip this step again) and specify your username and password. The last thing you need to do is to install VMWare tools in a Windows guest operating system. 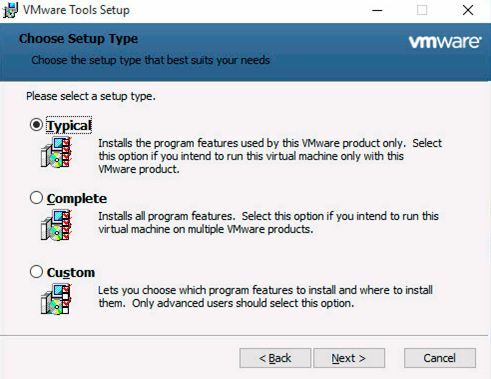 Select Guest > Install/Update VMware Tools. 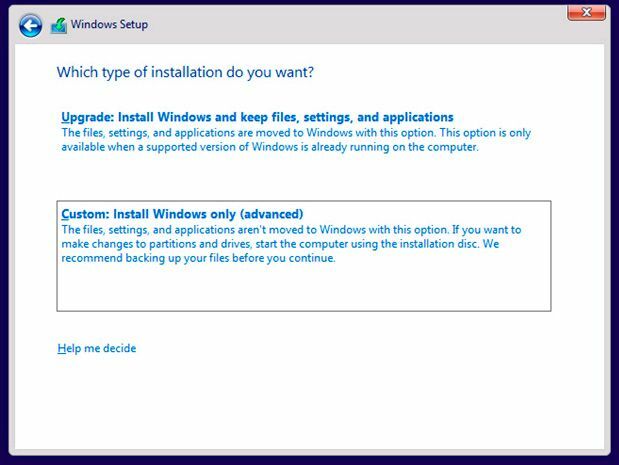 If the installation does not start automatically, select your DVD drive (D: by default) and select Install or run program from your media. Choose Typical setup type. 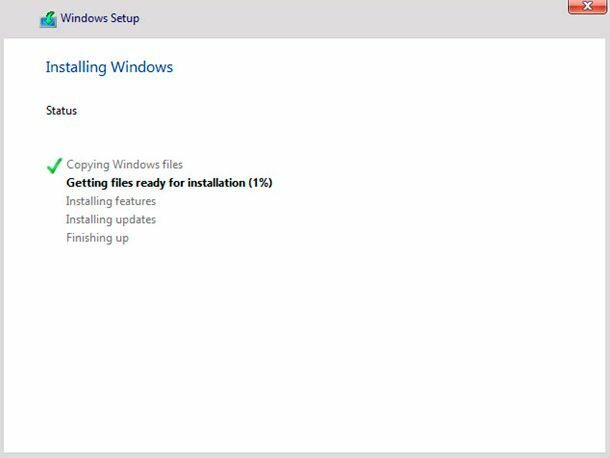 After installation is complete, installer asks to restart Windows for the changes to take effect. 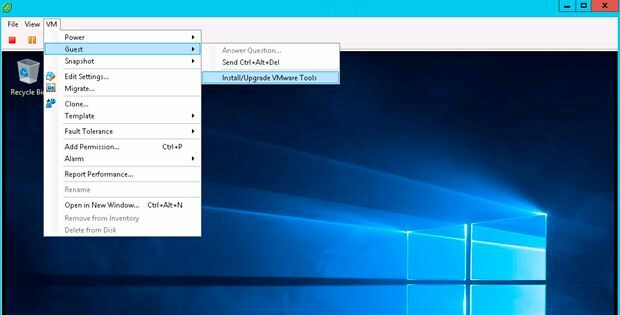 Now your Windows 10 in the VMware ESXi virtual box is ready for use. This didn’t work for me. The driver you mentioned isn’t compatible with my VMs hardware for some reason.